Amanzimtoti is a popular seaside destination for the family. One of the reasons for this is that Amanzimtoti borders the warm Indian Ocean. This warm water contains a diversity of wonders! Exotic species of fish, magnificent coral reefs and wrecks can all be discovered and spotted within these waters. The water is ideal for all year round swimming, snorkelling, diving and surfing adventures. 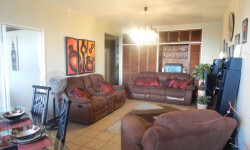 468 Kingsway Road Amanzimtoti, KwaZulu-Natal, 4126.